With over 10 years experience in the antique and modern jewellery business Flaxman Fine Jewellery recently opened their antique and modern jewellery shop at 50 Peascod Street, Windsor. The shop is a treasure trove of antique and modern jewellery with an emphasis on engagement rings. There are always pieces in stock by many famous design houses such as Cartier, Tiffany, Boucheron and Van Cleef & Arpels. They also offer a professional repair and re-design service, along with specialist investment advice. The stock is constantly changing so we recommend any fans of jewellery stop by on a regular basis. Initially recruited to work at Sotherby's, the proprietor Ed Flaxman went on to gain valuable experience working for a specialist antique jeweller in the Burlington Arcade where he also graduated with a gemmology diploma. He has spent the majority of his life in Windsor and attended the local Windsor Boys School. 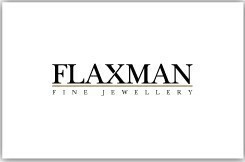 Why Buy From Flaxman Fine Jewellery? We are a small friendly and independent company dedicated to high quality customer service. Reliable ‘30 day money back guarantee’. 10 years experience and expertise in the bespoke and antique jewellery field. Efficient service before and after the sale. Free re-sizing on the engagement ring range. Comprehensive repair service available and free advice on alterations. The information contained on the Flaxman Fine Jewellery website is in no way objective, rather subjective accounts provided by individuals within our organisation. Though we strive to provide the most accurate accounts of the pieces displayed on our site, we retain the right to alter or remove at our own discretion. Flaxman Fine Jewellery retains the right to a non-refundable deposit arranged at the time of sale. Flaxman Fine Jewellery are a member of The National Association of Goldsmiths and offer a professional valuation service for all jewellery and objects d'art. We provide a comprehensive valuation certificate. Our charges are £95+vat OR 2.0% of the total whichever is the greater. Larger valuations are negotiable.